Our Boxed Invitation Champagne Bubbles is like no other it’s luxurious, classy and glamourous all rolled into one, beautifully handcrafted to the finest detail for todays discerning bride. 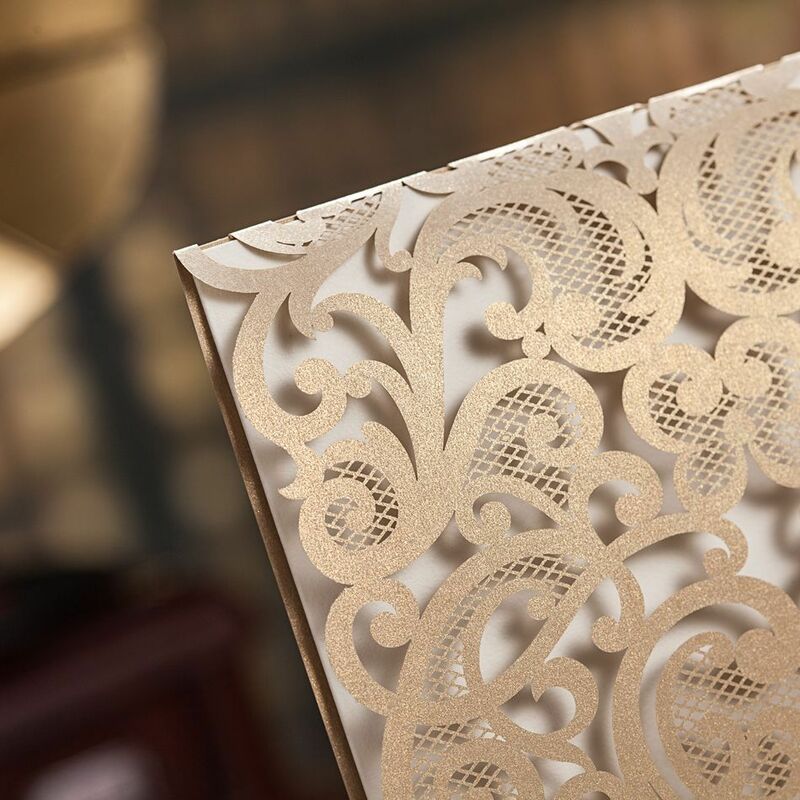 Created in a selection of lush champagne, blush and ivory tones all from our quality 300gsm shimmer boards, this gate fold base card of semi circlular panels are covered with a stunning deep embossed textured paper that resembles champagne bubbles, hence the name! The blush coloured insert pulls out from the top, this allows the ribbon to remain intact around the invitation. Finished with a stylish vintage embellishment with pearl centre and presented in an ivory textured presentation box which is personalised with a matching coloured name plaque. Definitely an invitation your guests will want to keep forever. Matching stationery is available, we also have a wide selection of embellishments in many shapes and sizes to suit all tastes and budgets, please ask when requesting a quote or sample. PLEASE NOTE: Samples are made on request and include 1 insert without printed text, this is to speed the delivery process of your sample. If you require text please let us know and allow 7-10 working days for delivery.